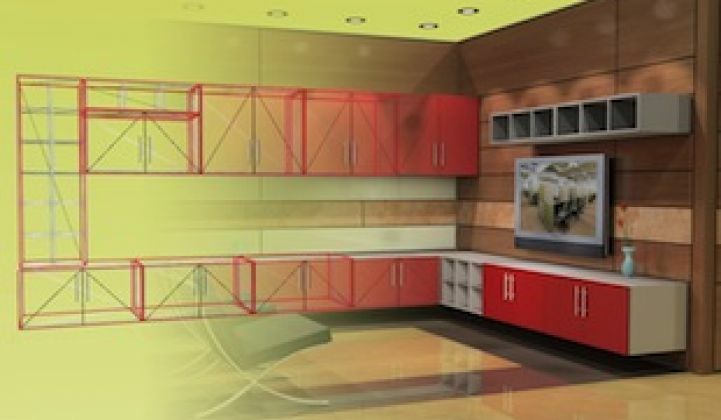 DIRTT Environmental Solutions wants to redefine the modular construction industry. The Danish toy construction company Lego is often held up as an innovation success story in the business world. In the mid-2000s, after facing pressure from competing toy makers and losing money due to over-diversification, Lego reinvented its customer engagement strategy. One of the most important pieces of Lego's approach was crowdsourcing development of new products. Bringing users into the creative process renewed enthusiasm about the company's Lego sets -- boosting sales, changing its image, and helping turn Lego into one of the strongest toy companies in the world. The Canadian firm DIRTT Environmental Solutions is trying to do the same thing for the real-world construction industry by designing and manufacturing modular interiors, with a distinct focus on intricate customization and user experience. "Our founders felt that modularity had hit a wall," said Christina Weber, director of business and community development at DIRTT. "There were limits to design, and you couldn't achieve a truly custom feel. So we created a tool that enables mass customization." DIRTT, which stands for "doing it right this time," was founded in Calgary, Alberta nine years ago. It has since raised $46.9 million in venture capital in 2011 and 2012, built three production factories in Canada and the U.S., and seen 23 percent compound annual growth rate since 2007 -- while racking up big-name customers like Google, eBay and Microsoft. So what makes DIRTT more like Lego and less like standard modular construction firms? The company's defining product is called ICE, a video-game-quality software package that allows designers to model building interiors in 3-D and update pricing as changes are made. 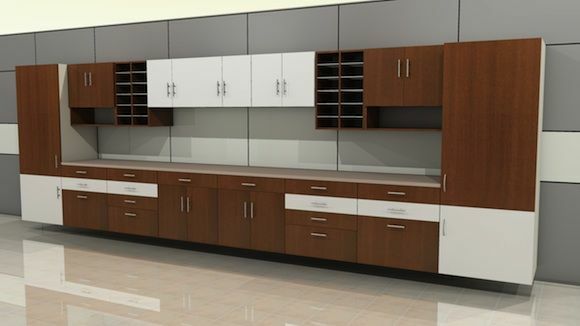 When finished, the model is immediately sent to one of DIRTT's production facilities, where workers can start making the components and update specifications in real time. The company says its design-build method can deliver products in just four weeks -- saving roughly 30 percent on project costs and reducing labor by 80 percent compared to conventional construction. I recently visited DIRTT's small office in downtown San Francisco. Upon walking in, two teams of designers were sitting with clients in front of large screens, mocking up interiors of office buildings. As they added new features in 2-D, the designers switched into video-game mode and moved through the facility to examine the layout, colors and wiring. Moving through the virtual building, the rendering looked like a first-person shooter game -- without the guns or violence. Looking over at one of the design meetings through a custom-built glass wall, Weber described the company this way: "We are a software-based cleantech company with some really cool factories." Modular construction is starting to get noticed as a valuable green asset in buildings, particularly through the LEED rating system. DIRTT now gets roughly 50 percent of its revenue through LEED-rated projects. DIRTT claims that outfitting an 18,000-square-foot office space with 9-foot-high walls could save more than 14,000 pounds of drywall, around 1,650 pounds of rolled carpet, and 1,450 pounds of CO2 emissions due to shorter construction times and conserved materials. A twelve-person crew can complete a commercial workspace of up to 28,000 square feet in just one week. And if the space isn't right, everything can be mixed and matched, replaced from the factory in just a few weeks, and, more importantly, recycled. "We are fighting against the mentality that you need to treat your interiors as disposable," said Weber. "We use universal components and we make sure that nothing expires as we refine our engineering. All product development speaks to the first generation -- we think you should be able to re-use your asset." DIRTT doesn't call what it does modularity. The team prefers to use the term "custom prefab interior construction" to describe the company's model. Whatever the term, the concept is definitely akin to sustainable Legos. Weber walked me around the small San Francisco office, opening up wall panels and floor panels, showing how cabinets can be moved, wiring switched around, and televisions mounted in different positions within the walls -- all while seeming permanent when in place. "We're striving to be Legos on steroids," said Weber. "It's all about occupant-centered design. There's a perception that you can't achieve true customization cost-competitively and sustainably. We try to dispel that myth by getting architects to come in here and kick the tires." DIRTT is attempting to recreate in the real-world construction market what Lego has done for construction toys: collaborative, user-driven design. Of course, scaling that approach to buildings is a much bigger potential market. In 2012, global Lego sales reached $4 billion; the non-residential construction market was nearly 30 times larger.